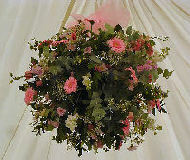 Wedding Flowers By Moonstones Florist, Fareham. A day full of love, laughs and joy. Of treasured memories for all to enjoy. Corsages, butonholes and gorgeous bouquets. 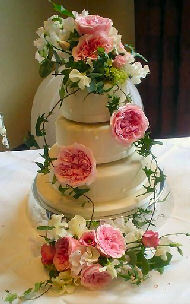 Church, reception and cake displays. Traditional, Modern or simply elegant. Contemporary, classic or full and decadent. Blues, pinks, reds or greens. Yellows, oranges, purples or creams. A Moonstones wedding flower display. A guaranteed highlight of your special day. Make your wedding day complete with our tailored Wedding Service. With our passion for flowers, over 30 years experience, and a real desire to give our customers the very best, we are sure that you will find your wedding flowers to be a real highlight of your very special day. These pages are designed to give you a small sample of what we can offer. However, why not make a free, no obligation appointment, to discuss your requirements with our highly trained wedding co-ordinator. This enables us to give you the time and full attention you deserve for such an important occasion and to get to know you and the kind of arrangements you desire. Classic elegance, traditionally feminine or contemporary twist… whatever you decide, Moonstones will create it with all the style and panache you could wish for. 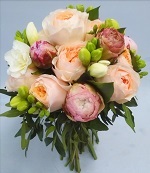 Choosing your bridal bouquet is one of the most enjoyable and significant decisions to make for your wedding. The choice of flowers and style of bouquet should be a reflection of your personal style and beauty. Although the standard carnation buttonhole is still popular for the congregation, more and more people are choosing something a little different especially for the immediate wedding party. In celebration of your wedding the reception should be fun, festive and shared with all your family, friends and colleagues. Flowers can be arranged creatively to reflect a theme that will make the rest of your day as memorable as the stating of your vows. Churches can look quite sombre without flowers, so if you don’t have a huge budget try and choose something which can then be taken on to your reception, like a pedestal arrangement. 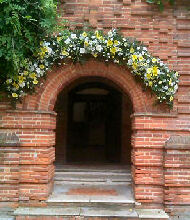 However, if you have budgeted for church flowers then you will have to think about where you would like them to be. Pew ends, the altar, entrance and window ledges are some of the places to consider. One of the main events of your wedding day will be when you get to cut your wedding cake in front of all your friends and family. Your wedding cake will sit beautifully throughout your wedding reception and will be gazed upon by everyone as you cut that very first slice as husband and wife.